You may well wonder how it is that MyHeritage.com can attract so many users? Part of the answer to that question lies in the ability of MyHeritage.com users to interact with their families directly through the program. With this new Inbox and Scanner feature for their mobile app, that interaction just moved into high gear. Here is a short explanation of both, but I suggest that you read all about the new features in their blog post entitled, "New mobile app features: Inbox and Scanner – Part 1." Regularly, every week, I get an email notice from Findmypast.com about new records added to their vast online collection. This week the notice showed an addition of well over half a million records. According to the weekly notices, this month, March 2018, Findmypast.com has added a total of 10,305,727 new records. These records are mostly either in the British Isles, Ireland or the United States. 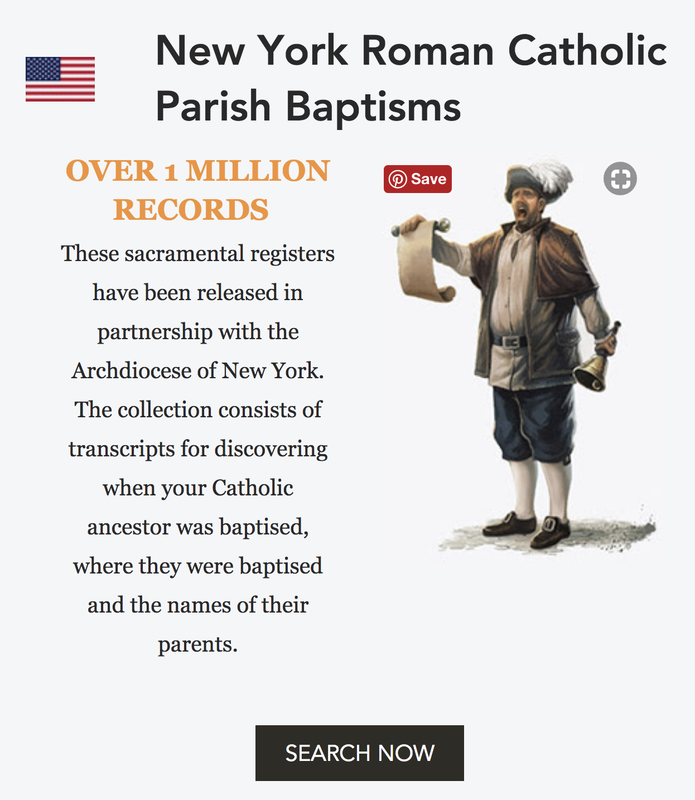 One notable addition of over 4 million records was the Catholic records from New York, Chicago, and Baltimore. These additions highlight the need for researchers to be aware of all the records going online. There are so many, it is likely that some of your own ancestors will be included in the new records. I am amazed that anyone would think that an active blogger would be so stupid as to post spam comments. They are easily detected especially when they always refer to some business in a part of the world that would not dream of reading the target blog. I got this spam comment and had already deleted about ten copies of the comment when I did the screenshot of the list. This type of online activity is at the core of the problem many people have with posting online. Interestingly, one of the main problems we have had in moving from Provo, Utah to Annapolis, Maryland has been in getting the U.S. Post Office to accurately forward our mail and packages. We have easily spent more time on that one problem than any other that might have been incident to moving. But, guess what? We still get a pile of junk mail every day, some of which has followed us from Utah. In addition, I get about 30 or so "junk" emails every day. Some of them are so regular that I can delete them without opening them at all. Some of them fall into the category of background ads for stores and businesses that I might use, but others are just plain junk and unrequested. If you do write a blog, make sure that you do not automatically post any comments. There is always an option to review anything before you post it and you should do that automatically. I would also suggest liberal use of the spam marker in any online programs you use such as Facebook etc. Remember the "Delete" button. At MyHeritage.com we take customer support very seriously, and are happy to announce that we are now offering customer support 24 hours a day, 7 days a week! We are probably the first and only family history and DNA company to provide round-the-clock support. Our support team now includes 138 full-time employees, taking phone calls and handling support questions via email. We’ve spared no expense and doubled the size of the team in the past 6 months in order to scale up and provide shorter wait times for calls and tickets, as well as keep up with the huge growth of our business. We’re also experimenting with an online chat service and are testing other platforms to provide you with more ways to contact us and allow us to respond faster to your questions. Our support team members speak 18 languages fluently, to ensure that most of our global members could receive assistance in their native language. To call support, use MyHeritage.com's toll-free numbers (1-800-MyHeritage in the U.S.), and keep your account ID handy in case you are asked for it. You can find your account ID by clicking on the drop-down menu by your name on the top of the screen when you’re logged into MyHeritage. 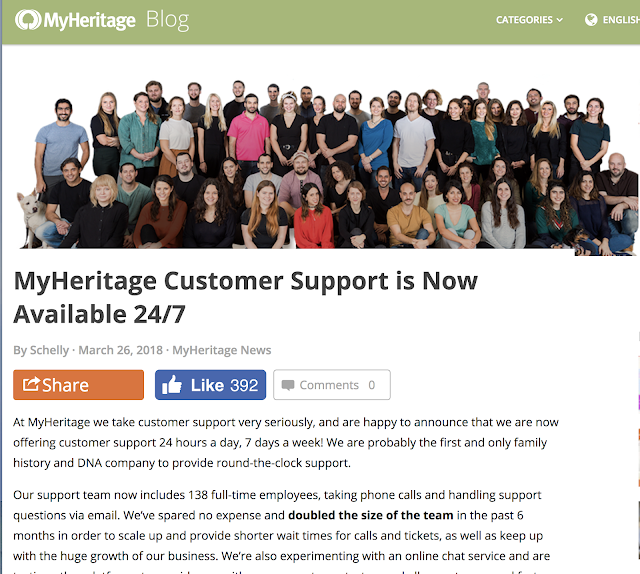 To read more about the new customer support, see: "MyHeritage Customer Support is Now Available 24/7"
You can find MyHeritage's Contact Us in a drop-down menu link in the top menu bar by clicking on "Help"
The second announcement is a little more complicated. 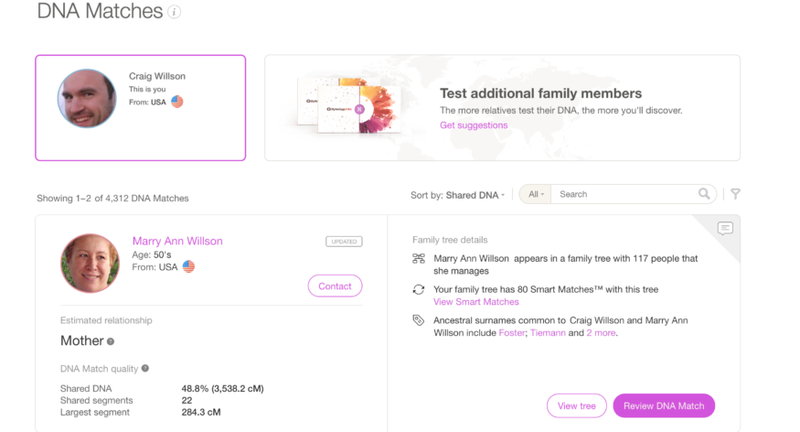 MyHeritage.com has released two new features that were requested by our users at the RootsTech conference in Utah in February, to make navigating in the list of DNA Matches easier. Following major updates and improvements to our DNA Matching in January 2018, MyHeritage DNA users are receiving 10 times as many matches as before. It’s therefore only natural that there is now demand for easier ways to work with this information and make the most of it.Users can now jump to a specific page of matches, or increase how many matches are displayed on each page. We're pleased to have been able to implement this so quickly. You can read more about these new features in a blog post entitled, "New: Easier navigation in your DNA Match list." My friend Louis Kessler has taken four separate DNA tests and in a blog post, he discusses the results. Louis has a somewhat unique genealogical history, he is 100% Ashkenazi Jewish based on years of genealogical research in an area within a couple of hundred mile radius that is restricted to northeastern Romania and southwestern Ukraine. 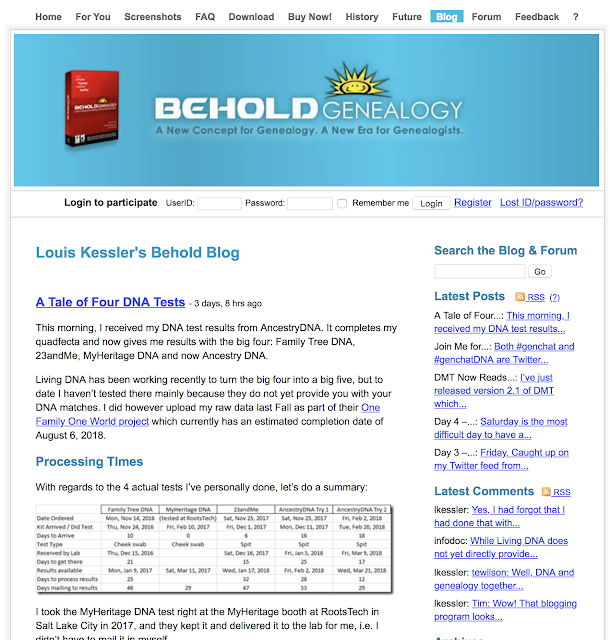 With this unique perspective, Louis has carefully documented and compared the results from his four DNA tests. There are also links to earlier blog posts on the same subject. My posts today give you a broad perspective on the incorporation of DNA testing in genealogical research. You will find several free MyHeritage.com webinars on the subject of DNA testing on the Legacy Family Tree Webinars website. This is a fee-based webinar website that has been online for a number of years. Some time ago, the website and the Legacy Family Tree genealogy program was purchased by MyHeritage.com. I guess this really is my day for DNA posting. I guess this is the day for DNA success stories. 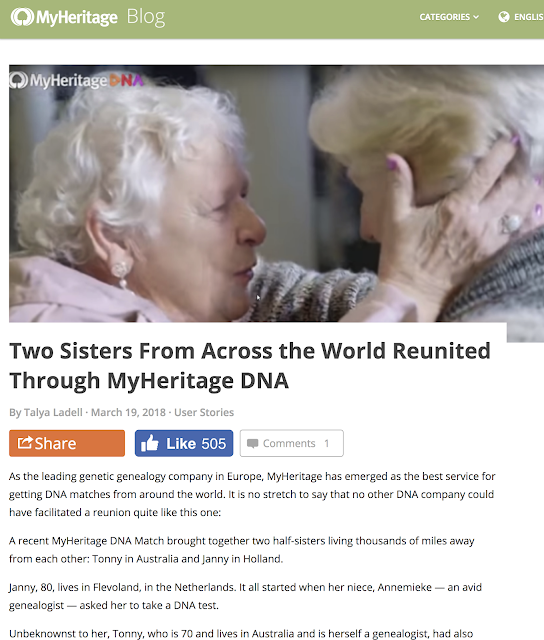 A recent MyHeritage.com DNA Match brought together two half-sisters living thousands of miles away from each other: Tonny in Australia and Janny in Holland. You can also watch a video of the reunion. This BBC News story recounts the long and complicated process that 80-year-old Anthea Ring had in finding her birth parents after being abandoned with her hands tied, in a blackberry bush in southern England. This is an excellent example of both the limits and the power of DNA testing to make discoveries that previously would have been virtually impossible. From my perspective, it provides an example of the level at which DNA interacts with genealogical research to provide accurate family information. 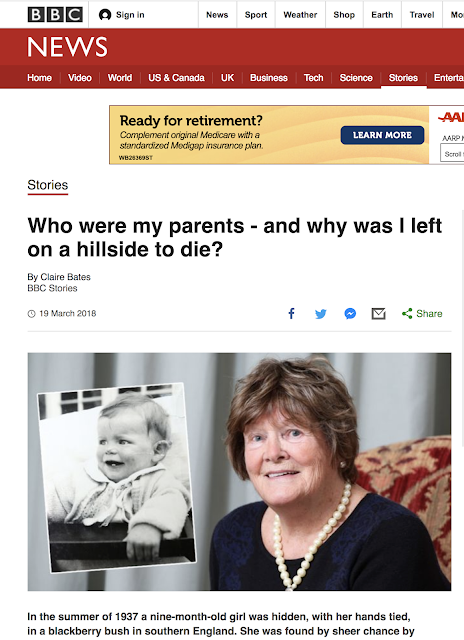 You will enjoy taking the time to read the entire article entitled, "Who were my parents - and why was I left on a hillside to die?" NOTE: You may wish to read the comments to this blog post. The comments are more extensive than my original post. Genealogy is a rather egalitarian persuasion and the vast majority of the people who are interested in either family history or genealogy have had little or no training in compiling footnotes or endnotes for a formal treatise on a genealogical subject. Many of us associate footnotes and/or endnotes with the task of writing a "research paper" in high school or in a class at the college or university level. 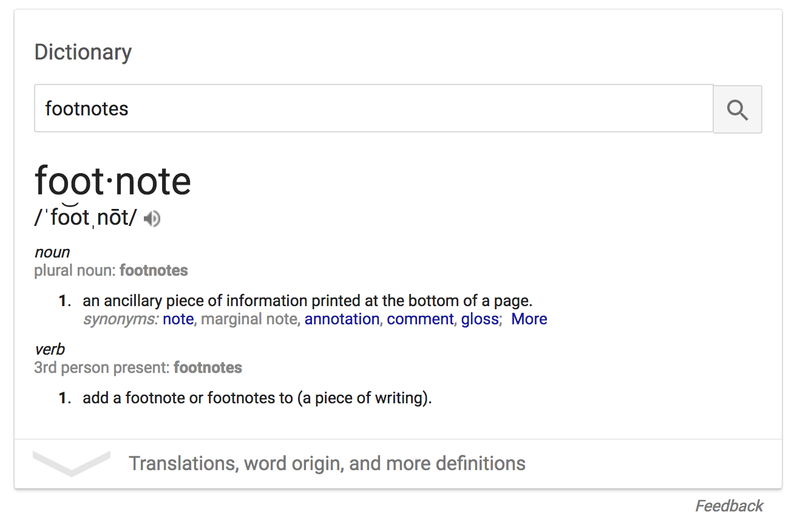 If you didn't have that opportunity, then it is likely that you have never used a footnote or endnote in your entire life. There are, however, a small number of people who are professional-level genealogists, some of whom are involved in publishing articles in formal genealogical journals such as The New England Historical and Genealogical Register. In addition, for those of us who want to join a genealogical professional organization and become accredited or certified as a "genealogist," learning to cite sources is one major prerequisite and "proper" citation format is almost a profession in itself. 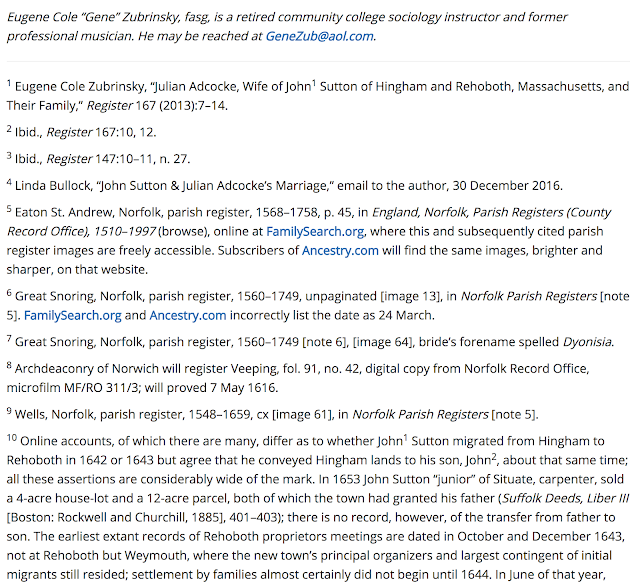 Here is an example of a partial list of the footnotes to an article published on the American Ancestors website from The New England Historical and Genealogical Register, Volume 172, Whole Number 685, Winter 2018. The article was authored by Eugene Cole Zubrinsky and is entitled, "The English Origin of John Sutton of Hingham and Rehoboth, Massachusetts." In our modern, online world of genealogy, there is a major ongoing emphasis on providing information about where contributors obtain the information they incorporate into their online family trees. In this regard, all users of the major online genealogy programs are being encouraged to "cite their sources." 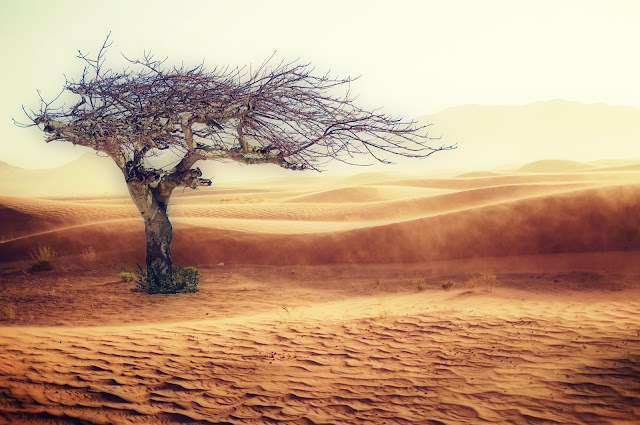 The absence of a source requires subsequent users of the family tree to redo all the research to verify the validity of the information provided. Unfortunately, the need to provide an adequate explanation about the origin of any incorporated information is either largely ignored or misunderstood. Part of the common failure to provide information about the origin of incorporated information comes from the academic and professional publication world. If you have an advanced degree from a university, you probably became aware of publications such as The Chicago manual of style. 2017. This type of publication sets out to standardize the way books, articles, and other publications are formatted. For academics and professional writers, they are a "rite of passage" into the world of doctoral dissertations and commercial writing. It would be fairly simple if The Chicago Manual of Style was the only such publication. There are, regrettably, dozens of such "standards." Elizabeth Shown Mills, Evidence! Citation & Analysis for the Family Historian (Baltimore: Genealogical Publishing Co., 1997). The introductory sections of this book are especially valuable.The Chicago Manual of Style, 15th ed. (Chicago and London: University of Chicago Press, 2003). Tell us where you obtained the information you enter into your online family tree. That's it. Now, I do have something to write about academic citations. First of all, they are almost entirely useless for subsequent researchers. It is all well and good that the footnotes or whatever follow some acceptable citation standard. But citations, as propounded by the authorities, do not tell us where we can obtain the information. Yes, they say something about "parish registers" or whatever but where is the parish register found? Our online family tree programs give us the ability to attach both a link and an actual copy of any information we incorporate. That valuable function is entirely missing from scholarly journal articles. If I want to verify what the journal writer cites in his or her footnote, I have to go find the "source" myself. Whereas, if I want to look at the source linked and/or attached to an online family tree, all I have to do is click and look at the attachment. Scholarly articles with dozens (hundreds) of footnotes give the illusion of citation but are in fact a throwback to pre-internet, pre-electronic, prehistoric times. Another clarification is in order. The "source" is where the information can be found. The "citation" is the description of where the information can be found. These two terms are often used interchangeably. If you add a date or a place or a name to an online family tree, tell us where you found that information and give us enough of a description or link to actually see the document or record. If no document of record was used and you made up the information. Tell us. If you heard the information from a relative. Tell us. Otherwise, we have to go find the source ourselves. What about all this complicated citation mumbo-jumbo? If you have aspirations of writing for professional publications, be my guest. Learn all about commas, indentions, style, and everything else that goes along with publication. But don't expect that level of citation to exist in online family trees and don't tell me that your footnotes help me to believe what you write unless I can clearly see where to go to find the information. I hesitate to give a specific example because I do not want to denigrate any contributor to a major publication, but telling me that you got the information from such and such a book or record does not help unless you also tell me where you found it. Why do we need the FamilySearch.org Family Tree? The FamilySearch.org Family Tree, by its very nature, engenders a measure of controversy. Part of the controversy arises from the original data. For the past 100 years or so, individuals and families, primarily members of The Church of Jesus Christ of Latter-day Saints, have been working at gathering information about their ancestors. Nearly all of this work has been done in isolation from other family members with the same ancestors. Much of this information was submitted to the Church and compiled in huge databases, first on paper and later in computer files such as the Ancestral File (AF) and the International Genealogical Index (IGI). As I have pointed out many times in previous posts, this massive amount of genealogical data was compiled into what we now have as the FamilySearch.org Family Tree. Because of its origin, the Family Tree inherited two obvious, massive problems: an immense number of duplicate entries and a significant number of unsupported and likely erroneous entries and conclusions about relationships. Fortunately, the Family Tree as it was developed, allowed users to merge duplicate entries, correct those entries that were inaccurate, standardize entries, and realign relationships that were unsupported and also inaccurate. Since it took over a hundred years to amass all this data, it is going to take a significant amount of time to correct and substantiate all that has been accumulated. The nature of the Family Tree includes the fact that there is no "central" authority governing what is and what is not included in the entries. Those tasks are left entirely up to the users. Some of us can clearly see the advantages of having an open, collaborative, and user-directed Family Tree. Others are bothered because their autonomy is threatened by no longer working in private isolated from the opinions and actions of others. No one likes to be told they are wrong, but the Family Tree does this every day on a massive scale. Primarily, for this reason, working on the Family Tree can be overwhelming, frustrating, and even threatening. Since every entry in the Family Tree eventually has to be supported by historical documents, if they can be found, the main task of working with the Family Tree is finding those historical documents and using the information to correct and extend the entries. Unsupported entries will eventually be "pruned" from the program. This process can become highly emotional for some who have pet theories and conclusions about ancestral connections that are not adequately supported by historical documents. Much of this unsupported information has come from "traditional" family stories or compiled genealogies that were poorly done. Presently, almost every extended family line in the Family Tree ultimately ends in speculation and fantasy. As these wrong conclusions are challenged and changed, the response from those who want to maintain the status quo is sometimes confrontational. There is a relatively small number of genealogical researchers who view themselves as authorities in all matters dealing with genealogy. Many of these people look down on "online family trees" as being more a nuisance than a help in doing "real" genealogy. Some will refuse to put "their" genealogy online because they don't want the commoners or whatever to mess with their work. These people want to maintain the isolationist, traditional way of doing genealogy and they become some of the most vocal critics of the Family Tree. They would also like to see genealogy become a regulated profession requiring admittance to a professional organization or requiring a college or university degree. This is particularly true of those wanting to make a living from being a genealogical authority. Not all of this desire for professionalism is bad, but in many cases, these same people are being left behind by the changes in technology. The Family Tree exists because technology now allows it to exist. All forms of authoritarianism are threatened by the advances in instantaneous communication. The Family Tree is just the genealogical manifestation of this explosion in online information. Ignoring the Family Tree is like ignoring the internet altogether, it can be done, but puts anyone taking that isolationist position into a corner where they cannot function adequately. How does this affect genealogy? Suppose I am a very experienced and capable genealogist. I write books, I attend conferences and present classes, I am honored by genealogical organizations as a "leading" authority on genealogy etc. etc. I do work for others professionally and get paid for my efforts. Now, let's further suppose that I ignore online family trees and particularly the FamilySearch.org Family Tree. How can I ever be sure that any of the research I do has not been done by someone else? The answer is I can't. No one has enough time in one life to search all the sources and read all the books and make all the trips necessary to do a complete search. If I think my work is exhaustive, I am deluding myself. How can we be certain what we are doing is accurate? In the academic arena, the process that has developed is called "peer review." However, peer review is an illusion because the peers are self-selected and have no more experience in most cases than the publication being reviewed. What we have today is the ultimate genealogical peer review: the FamilySearch.org Family Tree. Here is a comment I received recently that expresses what I am writing about. I began to use the Find feature of the Family Search Tree recently and was extremely disappointed in the quality of the data for the hundreds of people in my own family. I know it is only as good as the data entered but apparently those who entered info for my own ancestors don't understand the necessity of source citations and genealogical proof. In short, the information entered was garbage. No different than the trees one finds in the Ancestry trees. Furthermore many people didn't enter their email address so that I could correct them. I don't have the time to straighten out the data nor do I wish to. This comment is based on the concept of ownership. See the use of "my own." It also exhibits a lack of understanding of the whole process of doing family history or genealogical research in light of the ability to collaborate. Also, the Family Tree program provides a way to contact every user by using the Message function of the program without knowing a user's email address. What this person fails to realize is that what he or she has in "my file" may not be accurate. By keeping his or her "accurate" data private, it is guaranteed to be inaccurate in some respect, sourced or not. By not sharing the information, it is also guaranteed to be lost. Working through the entries in the Family Tree is a way to validate or correct your own research. By the way, I can sit through a whole genealogy conference and not have one presenter even mention the Family Tree or any other online resource unless the class is specifically about online resources. 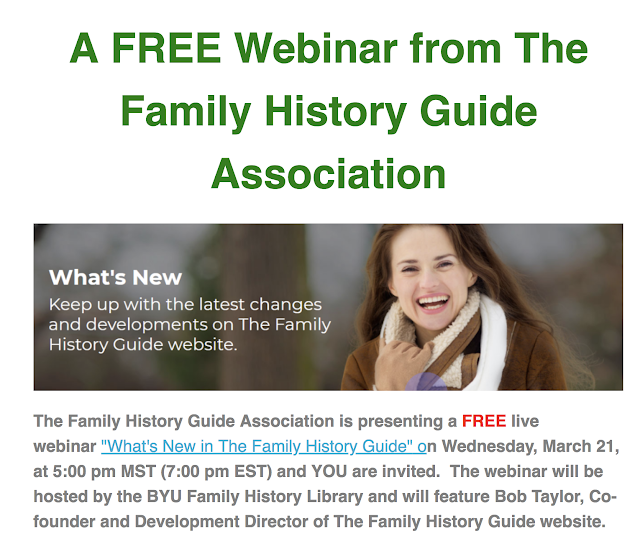 The Family History Guide Association is presenting a FREE live webinar "What's New in The Family History Guide" on Wednesday, March 21, at 5:00 pm MST (7:00 pm EST) and YOU are invited. The webinar will be hosted by the BYU Family History Library and will feature Bob Taylor, Co-founder and Development Director of The Family History Guide website. There have been literally dozens of changes and additions to the website just since January 2018, including many announced at the recent RootsTech 2018 show. Many new The Family History Guide Association produced videos have also been added just within the last few weeks. So we invite you take advantage of this unique opportunity to get caught up on the premier website for learning and loving family history The Family History Guide! And, yes, we are a 501(c)3 charitable non profit and would be delighted to receive your DONATION should you be so inclined. 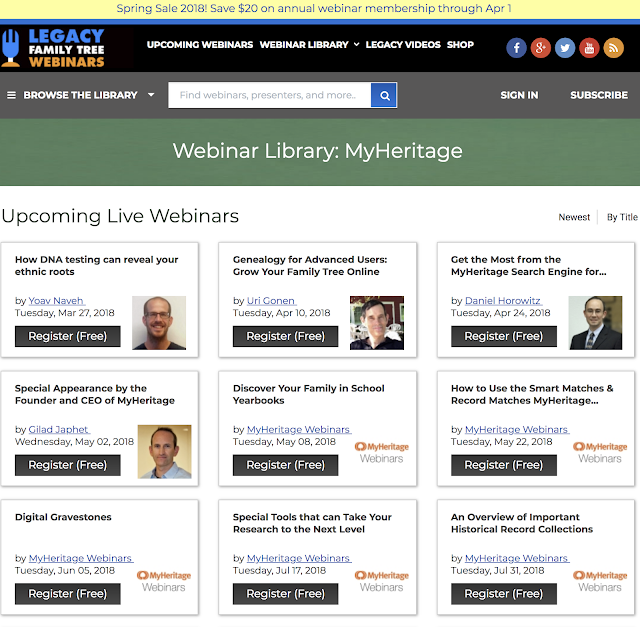 You can see the list of all the upcoming free webinars on the BYU Family History Library Website. Here is the Link. Genealogy programs and online databases are tools. Tools generally cost money. I am reminded of a time when I was much younger and working on a car that I happened to own at the time. I was having trouble with the steering and began the process of trying to fix the car myself with the help of a friend. After spending a few fruitless hours trying to replace the front steering ball joints, we finally asked a more knowledgeable friend for some help. 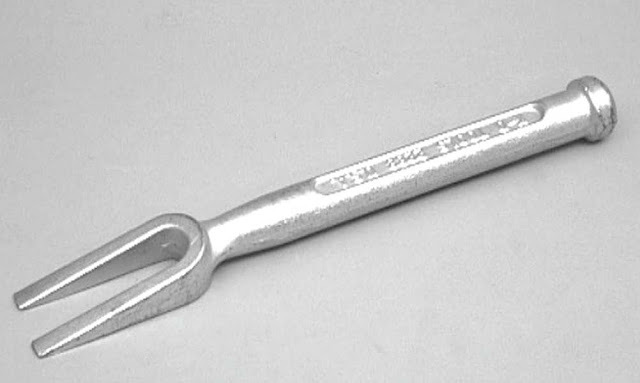 He went to his tools and handed us a ball joint fork. Using that tool, we got the job done is about ten minutes. Now, the moral of this story is to use the right tool. Genealogy is no different than any other similar pursuit when it comes to using the right tools. But guess what? Tools cost money. In my story, we borrowed the tool from a friend, but online today, I could buy the same ball joint fork for around $11. For some reason, genealogists seem to think that everything they do to find their ancestors should be free. Afterall, why should we have to pay to obtain information about our own ancestors? Right? Wrong? I have written about the cost of being a genealogist many times in the past. Compared to some common activities in Utah, for example, power boating, snowmobiles, skiing, four-wheeling, ATVs and so forth, genealogy is positively cheap. For example, we are getting close to the end of ski season in Utah, but if you had purchased a season ticket to Snowbird Resort in Little Cottonwood Canyon, it would have set you back about $1000 per adult. The other activities are even more expensive. You can do a lot of genealogical research online for free on websites such as FamilySearch.org and Archive.org, but yes, there will be a charge for using many of the commercial websites. If you decide to travel to a remote location to do research as many of us have done, then there is an expense for travel. The issue of charging for information is much broader than just that part dealing with genealogical information. My own experience is that the demographics of the genealogical community make the cost of genealogy an issue. Many of those who are dedicated to genealogical research are older, retired or on fixed incomes and have limited discretionary income. What may seem like a minor cost to some can be a budget breaker for others not so fortunate. One good option for limited budgets is to use the services of one of the over 5000 local Family History Centers around the world. The Family History Center will have some of the commercial programs, such as Ancestry.com, Findmypast.com, and MyHeritage.com for free. You will not be able to have your own family tree on these programs for free, but you can use their databases to search for your relatives. To find a Family History Center near you go to FamilySearch.org and click on the Help link in the upper right-hand corner of the homepage. I guess I can look forward to attending RootsTech 2019, but I will have to wait and see what the future brings. 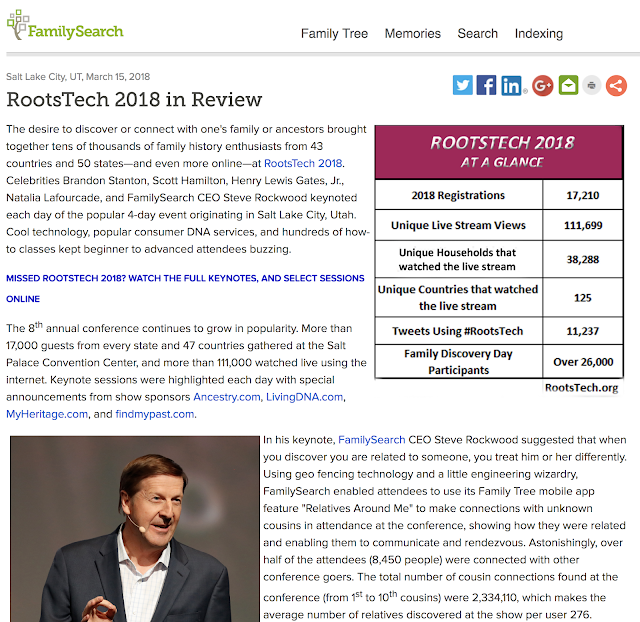 I do note that the attendance for RootsTech 2018 was up from 2017 but still down from 2016 when there were more than 26,000 attendees. Looking at the figures for the Family Discovery Day, maybe FamilySearch is really trying to run two different conferences at the same time? Maybe Family Discovery Day needs to be a multi-day conference separate from the RootsTech oriented conference? I have been catching up slowly with the online presentations. This is a great benefit for those of us unable to travel to the live conference in Salt Lake City, Utah. I ran across this excellent summary of the status of hard disk storage vs. Solid State Drives (HDD) or Devices (SSD) from the BackBlaze.com blog entitled, "HDD vs SSD: What Does the Future for Storage Hold? — Part 2." 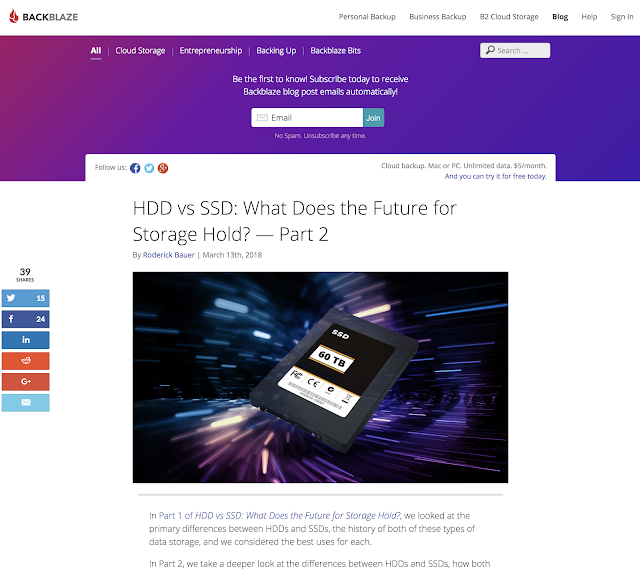 I really can't do justice by summarizing the article, but I think anyone dealing with computers and storage needs to see that the future will hold almost unlimited storage at a very low cost. Good for genealogists. While the various online genealogy companies are not actually blind, they do have individual disparate views of genealogy and genealogical research. Although the differences may not be readily apparent, they exist none-the-less. As I was thinking about these differing philosophies, which seem to me to be fairly obvious, I was wondering whether to identify the websites in question or leave that task up to the readers to determine from my descriptional analysis. Since the whole idea is totally mine, I decided I would have to identify which website was which so there would be no misunderstandings. I am not going to indulge in value judgments. There will not be a series of "star" ratings or anything like that. I am merely writing about my perceptions concerning how each of the large websites works. I am also writing this without the benefit of using any explicit references to the websites' own corporate missions or objectives. Disclaimer: My observations are not intended to be critical of anything done or not done by the various websites but I cannot guarantee that you may think that some of my observations are intended to be critical. I will start with Ancestry.com. 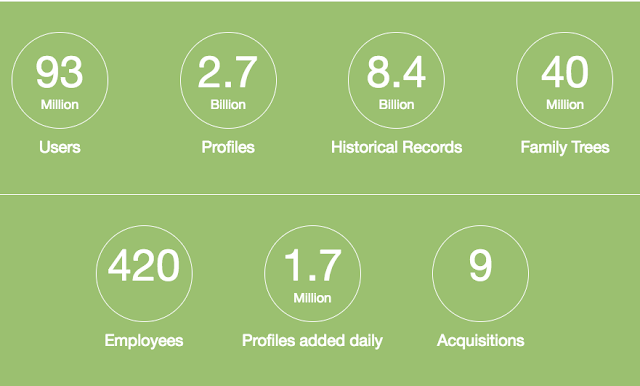 Nearly every promotional statement made by Ancestry.com refers to the claim to be the largest online genealogy company. A quick look at the basis for that claim indicates that in at least some categories it is the "largest." But since detailed information about collections, records, users, members and other factors are not readily available in a format that can be compared to the other websites, the claim cannot be accurately substantiated. Ancestry.com certainly has the lion's share of the online market measured by internet traffic. The first question that is raised by a claim to being the "largest" in any field is to determine whether large equates with useful, good, helpful, etc. In short, what good does it do to be large if large isn't the main issue? Which immediately brings up the question of what is the main issue. Simply put, the best website is the one that has what you are looking for. Like many other online commercial websites, Ancestry.com is fee-based. There is a significant level of "blow-back" from genealogists about the whole idea of charging a fee for what is essentially information about their own families, but the reality is that all of the large online databases incur substantial costs and those costs have to be paid from either donations or revenue. I think it is time to write about this subject again, so look for a post in the near future. Back to Ancentry.com. I have been watching the website (and all of the others) for years now. In the past, Ancestry would participate actively in large and small genealogy conferences and support local genealogical societies. That involvement has been dramatically curtailed. In addition, because of the dramatic increase in DNA testing, Ancestry has begun emphasizing DNA testing at the expense of any mention or promotion of their genealogical records. According to iSpot.tv, "In the past 30 days, Ancestry has had 5,041 airings and earned an airing rank of #123 with a spend ranking of #76 as compared to all other advertisers." See Ancestry TV Commercials. My perception of those commercials is that almost all of them are promoting Ancestry's DNA testing kits. What happened to the rest of genealogy? Well, DNA is the part making a lot of money right now. It is also my perception that this emphasis on DNA testing has been at the expense of any significant growth in their online database records. I used to get notifications about new records but that has almost completely stopped. The current records on Ancestry.com are extremely valuable for genealogical research in some areas of the world and there have been some notable acquisitions such as in Mexico. But by and large, even though record collections are continuing to be added, there is little promotion of that aspect of the website. In addition, there has been little or no changes or improvements to the family tree program on the website for some time now. Ancestry.com will likely continue to promote DNA testing. It is too early to tell if the testing itself without a major involvement with a family tree supported by genealogical research will keep the company growing. Next, FamilySearch.org. FamilySearch is the only one of the very large online database companies that is completely free. Its main limit is the reduced number of indexed records compared to the huge number of unindexed records. FamilySearch is growing very rapidly due to the digitization of its vast microfilm collection and its ongoing digitization projects around the world. The number of records online and available increases every week. 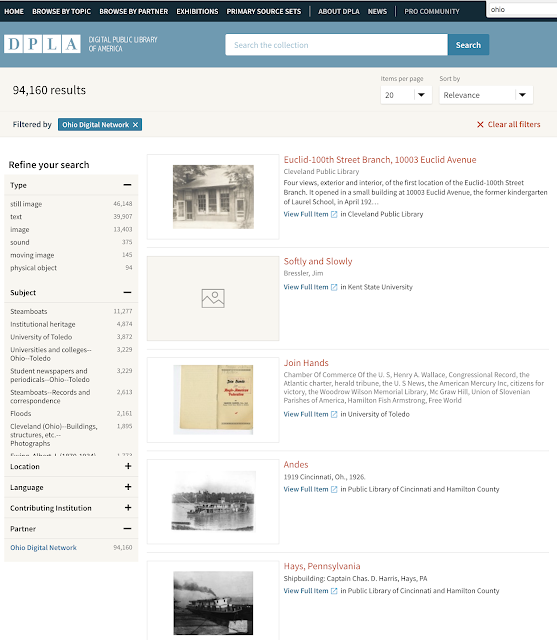 Currently, many of the digitized records are only available through searching in the website's Catalog. Over time, however, there is no doubt that the website will continue to grow at an increasing rate. From a genealogical standpoint, the increased availability of the records, especially those from many parts of the world not covered by other easily available, free websites, will keep FamilySearch at or near the front in the area of providing genealogical records. There is no indication whatsoever that FamilySearch intends to "get into the DNA business." But there are some indications that they might begin to support DNA testing results in the huge cooperative Family Tree program. It is interesting to me that many "serious" genealogists will travel across the country and around the world to visit the famous Family History Library in Salt Lake City, Utah but those same researchers are sometimes less than knowledgeable about the huge offerings on the FamilySearch.org website. It is an interesting experience to sit in the Family History Library in Salt Lake City and show people how to find records on the website when I could do that from anyplace with internet access. The FamilySearch.org Family Tree is somewhat controversial because of its collaborative nature, but as it develops it will become the "go to" place for genealogists to determine the status of research in any particular family line. 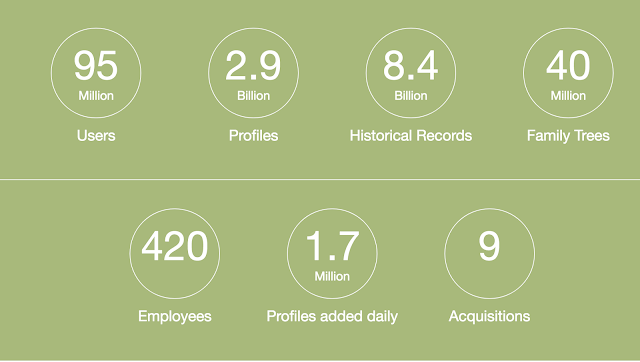 Currently, there are over 910 million source listings in the Family Tree and over 1.2 billion individual records. There is still a lot of work to do in "cleaning up" the existing records, but that work is being done at an extraordinary rate of progress. 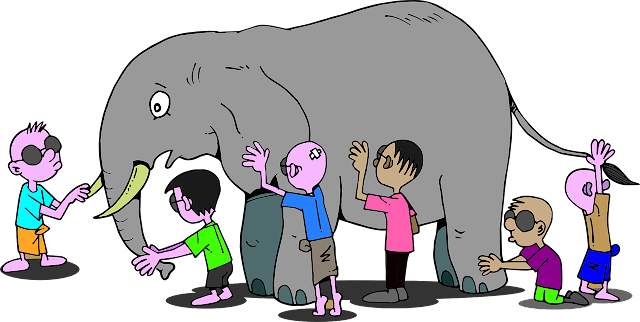 The main limitation of the website is its growing pains. 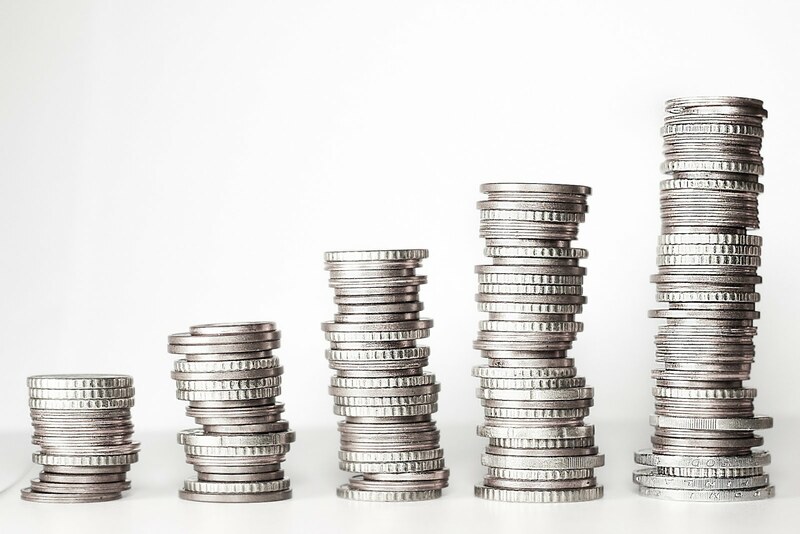 Use of the website and the number of records being added constantly taxes the ability of the developers to keep the website working well online. This is a good problem to have and will be solved as time goes on. Findmypast.com is the British offering of a huge online genealogical database. It is a relative newcomer to the family tree business but it has an extensive and very valuable collection of records of the British Islands, Ireland and the former British Empire countries. Its record collections in the United States are also growing rapidly. The website's search engines lack some detail, for example, the limited number of options when searching for an individual. When you search for an individual, you cannot add a spouse to assist in finding a match. In other respects, however, their search engine is wonderfully efficient in focusing research on a particular county or parish. One limitation of the website is not at all the fault of the developers. The limitation lies with the unavailability to see original British records online without paying for copies. The Findmypast.com website has some transcriptions of these original records, but it is always a good idea to look at the original if you can. 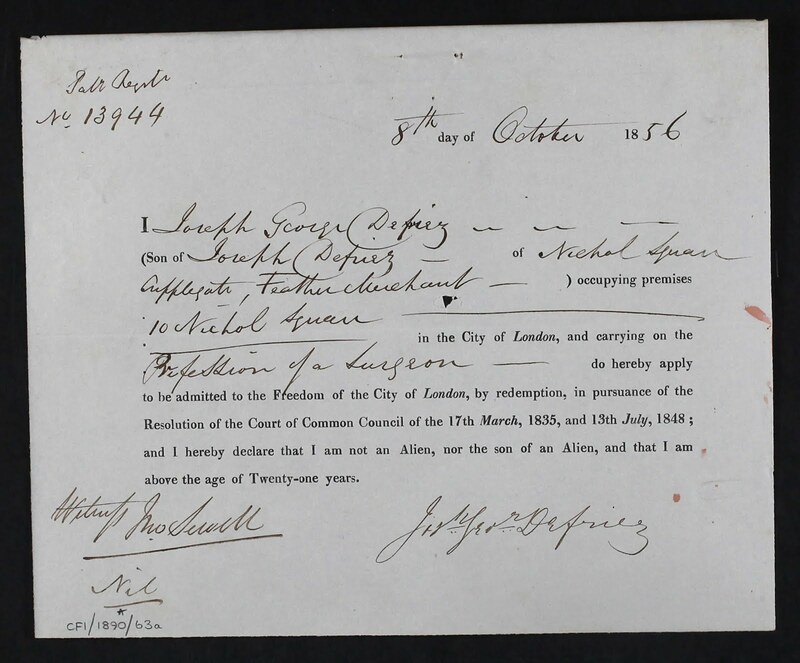 This problem is caused by the fact that most of the records from the British General Register Office (GRO) are only available by paying a rather substantial fee. Sometimes you cannot determine if a person is a relative without looking at the original record and since digital copies of the records cost money, you may expend quite a bit of money without finding the right person. Findmypast.com is an excellent online example of an aggressive and rapidly growing genealogical collection. New records are added almost weekly and the website constantly increases in value. I am constantly amazed that so many people in the United States who have British ancestors are unaware of the resources of this vast website. I helped a man recently who had done extensive research on his Virginia ancestors and was trying to connect his immigrant ancestor back to England in the 1600s. But he had never really looked at Findmypast.com to do any research. His loss. MyHeritage.com is in a class by itself both because of its size and membership but also because it is the obvious leader in genealogical technology in the world. Genealogists in the United States who would be greatly assisted by using the website are, for the most part, totally unaware of its existence and benefits. The website is aggressive pursuing records and recently added 325 million new records in one week to its collection of over 8.9 billion records. Based in Israel, the website has over 93 million registered members in every country of the world. MyHeritage.com is also aggressively promoting DNA testing and is also implementing and developing the infrastructure of the website to take advantage of the relationships discovered through DNA testing. During the week of the recent RootsTech.org conference in Salt Lake City, Utah, MyHeritage.com dominated the news with the innovative announcements it made. 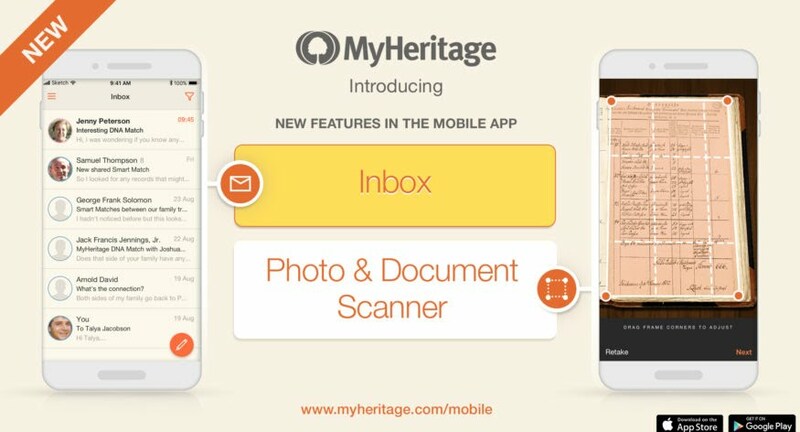 I have recently written several blog posts about the new developments from MyHeritage and you can be sure there will be more coming. One example of the breadth of this website is its large online newspaper collections. My family came from a small town in Eastern Arizona. MyHeritage has a connection to the Library of Congress's Chronicling America, Digital Newspaper Project. Because of this connection, MyHeritage provides automatic Record Matches to individual newspaper articles from the local newspaper with references to my ancestors. If you consider the number of records available from using all four of these websites, you can begin to appreciate the huge impact these website are having and will continue to have in the future of genealogy. You may have to watch his presentation several times to understand what he is saying and also to understand the list above. Basically, he is outlining what he said last year, that, in the future, if you give your DNA to MyHeritage, they will be able to build a family tree for you. This is how it is going to work. Online social media is the phenomenon of the age. The news is filled with articles and analysis of the impact of social media on children, adolescents, families, consumers, social organizations, brand loyalty, consumer decisions, holiday travel planning, software engineering, innovation, travel, learning, corporate greenwash, emergency management, health communication, and ad infinitum. Well, guess what? Social networking is also changing genealogy and everything else having to do with life on the planet. There are almost as many articles, studies and commentaries on smartphone usage as there are on social media. The current population of the earth is estimated to be 7.442 billion people. Of those billions, 2.53 billion own smartphones. See "Number of smartphone users worldwide from 2014 to 2020 (in billions)." There is a direct relationship between the number of smartphone users and the rise of social media. Yes, one-third of all the people on the face of the earth own smartphones. To give an example of what social media can do, the most popular YouTube sensation has 61 million subscribers. By the way, the top 50 are almost exclusively entertainers, mostly comedy and music. My additional comment is that most also use language and images that I will not look at or listen to. However, if I go by my own experience with genealogists, I am guessing that, as a group, they will likely be the last smartphone holdouts in the world. But that is another post for another time. The key to controlling this huge flood of social media lies in the simple fact that these devices have an off switch. Most of my children and their families have strict "device time" controls. Perhaps, we should all employ some kind of controls. I am best known, by the way, as a social media person. But I do not spend as much as an hour a week on social media. Yes, I write compulsively, but I look at social media, such as Facebook, only occasionally or not at all. Our family now uses Instagram almost exclusively for communicating and that is the only social network I look at regularly. However, this post will go out over social networking outlets all over the world. Hence, my immersion in the social networking world. To begin to control social media, I think we need to acknowledge its place in our lives and the lives of others. We can't pretend to stick our heads in the sand and wish that it would go away. It is not going away, it is getting more pervasive. My maternal grandfather was a newspaperman. He worked for newspapers all his life. My main memory of him is that he came home every day from work and read the newspaper. Today, I haven't read a real physical newspaper for a very long time. But I have learned that there is very little "news" that I really care about reading. So, I use "filters" and subscribe to only those news outlets I am interested in learning about. But I am far from the "usual" case. I spend most of my days in front of a computer. Even now, as we are digitizing records at the Maryland State Archives, we are using computers to operate the cameras and store and transfer the images. I view computers, including all the other devices like smartphones and tablets, as "tools." I use them for specific purposes. The key, for me, is realizing that they are merely tools to do things I want to do. Yesterday, when we went to Washington, D.C. to visit the National Postal Museum, we used our smartphones to see how the traffic was on the freeways. We used our smartphones to find the museum and for information about which Metro train to take. We used our smartphones to find out about the bus system in D.C. and to find bus stops and Metro stations. We looked up things about the exhibits in the museum that interested us. We used the smartphones to keep in touch with our children and monitor email. We used our smartphones to find a way back to our apartment and avoid the crush of traffic on the freeways. Most of these activities would have been impossible just a few short years ago. I used my computer this morning to look up the statistics cited in this article. Living here in Annapolis would be immeasurably more difficult without our smartphones and our connection to the internet. 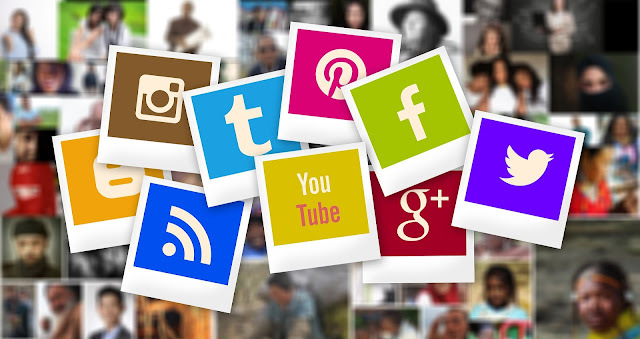 Uncontrolled usage is when the social media begins to be the object of your activities rather than the tool to doing what you would really like to achieve in life. One of the common challenges of doing genealogical research is differentiating people with the same or very similar names. This problem is directly addressed by my Rule Nine: There are patterns everywhere. See "New Rules Added to the Old: The Rules of Genealogy Revisited." As the explanation for this rule indicates, computers are very good at looking for and finding these patterns. 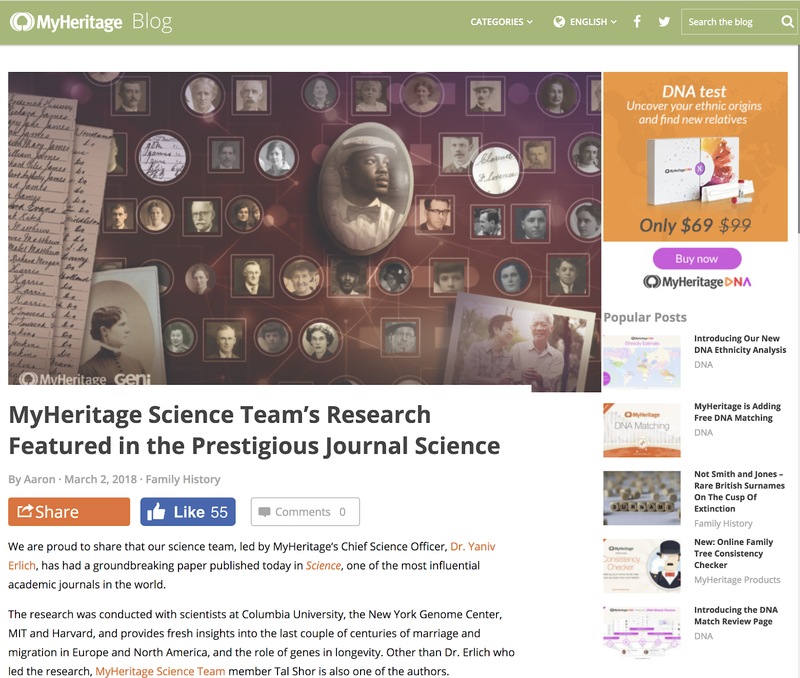 MyHeritage.com recently posted about the following scientific article. Kaplanis, Joanna, Assaf Gordon, Tal Shor, Omer Weissbrod, Dan Geiger, Mary Wahl, Michael Gershovits, et al. “Quantitative Analysis of Population-Scale Family Trees with Millions of Relatives.” Science, March 1, 2018, eaam9309. https://doi.org/10.1126/science.aam9309. This article is a masterpiece that fully supports Rule 9. The problem addressed by the findings of the study reported in the article and by Rule 9 is that many researchers focus on names to the exclusion of other important information about ancestral families. For example, I commonly find English families with children born in different locations around the country in the early 1700s. Here is one example. In this family, the parents are shown to have been born and married in Sussex, England. Incidentally, the first three children lack birth information. The last child is said to have been born in Tenterden, Kent, England. Thomas Byant, 1702-1770 christened in Beckley, Sussex, Kent. There is always an argument, that this was possible. But what about the sources? There is a marriage record for Thomas Bryant marrying Elizabeth Hovenden in Northiam, Sussex. There are also christening records for each of the four children in Tenterden with parents named Thomas and Elizabeth. Here is a map of England showing where these two places are located. Could the places in this family be possible? Possible yes, likely no. Why? Now, back to the MyHeritage study. Here is a quote from the MyHeritage.com blog about the study. The team found that industrialization profoundly altered family life. Before 1750, most Americans found a spouse within six miles of their birthplace, but for those born in 1950, [1850?] that distance had stretched to about 60 miles. Before 1850, marrying in the family was common — on average, fourth cousins married each other, compared to seventh cousins today. Curiously, they found that between 1800 and 1850, people traveled farther than ever to find a mate — nearly 12 miles on average — but were more likely to marry a fourth cousin or closer. Their hypothesis is that changing social norms, rather than rising mobility, may have led people to shun close kin as marriage partners. In a related observation, they found that women in Europe and North America have migrated more than men over the last 300 years, but when men did migrate, they traveled significantly farther on average. Apparently, no problem here. Both the parents were supposedly born and married in Northiam. But what about the children? Would it help to know that this husband and wife were likely related? Let's see how likely it is that the children have the right parents. Using another program, Findmypast.com, I can see how many Bryants there are in the millions of records on this huge website. 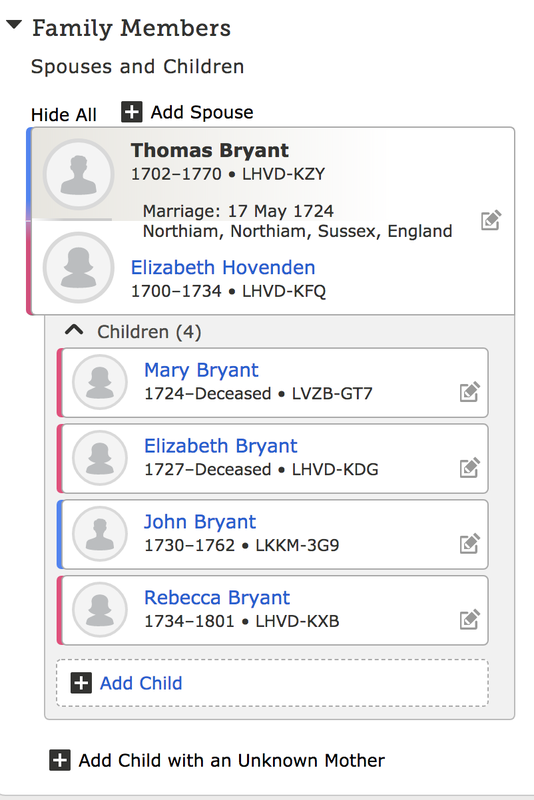 Searches on Findmypast.com show that during the time period of 1702 plus or minus two years, there were 52,027 records of Bryants in England. By editing the search, I find that there are only about 503 records of Bryants in Sussex during that same time period and of those only 41 were named Thomas. Interestingly, none of these records show any births. However, there is a Thomas Bryant who dies in Northiam in 1762. 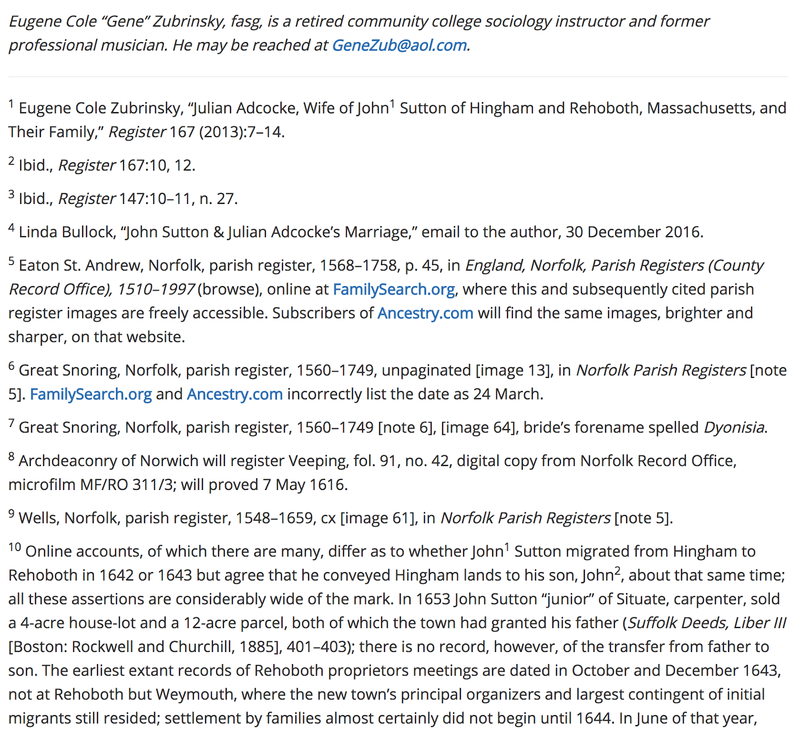 However, the records on FamilySearch.org do show a marriage for Thomas and Elizabeth in Northiam in 1724. Is this the same Thomas and Elizabeth that are shown as the parents in Tenterden? That is the question. The MyHeritage.com study would tend to make me consider the conclusion as unlikely. Ignoring for the moment that we do not have a source for Thomas Bryant's birth, let's look at the Bryants in Tenterden, Kent about nine miles away. Back to Findmypast.com. There are 1.106 records listed for Bryants in Kent in around 1702 and 68 of them are named Thomas. There are again no christening records for a Thomas Bryant but there is one death record in Tenterden. 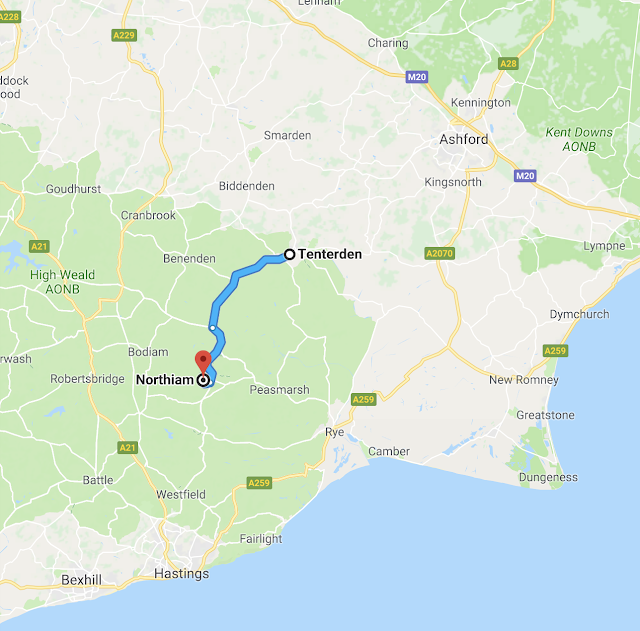 So, we have a Thomas in this time period who dies in Tenterden and another one who dies in Northiam, where Thomas and Elizabeth are married. A search in Ancestry.com shows that there are no marriage records for a Thomas and Elizabeth in that time period in Tenterden. Ancestry.com only has a death record. Do we have the right parents for these four children? How does the information provided by the MyHeritage.com study impact your opinion as to whether or not we have found the right parents? Does the fact that we have no birth information for the father in either location and that there is a Thomas Bryant who dies in Northiam have any bearing on your conclusion? I think that the study done by MyHeritage.com et al. is going to become an important factor in determining the reasonableness of many conclusions. The Digital Public Library of America, or the DP.LA is a rapidly growing nationwide website. Here is a description from that website. 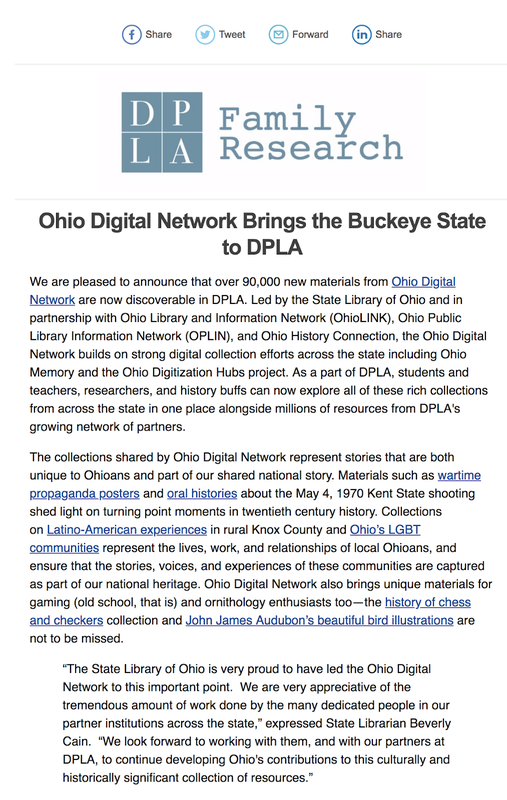 DPLA connects people to the riches held within America’s libraries, archives, museums, and other cultural heritage institutions. 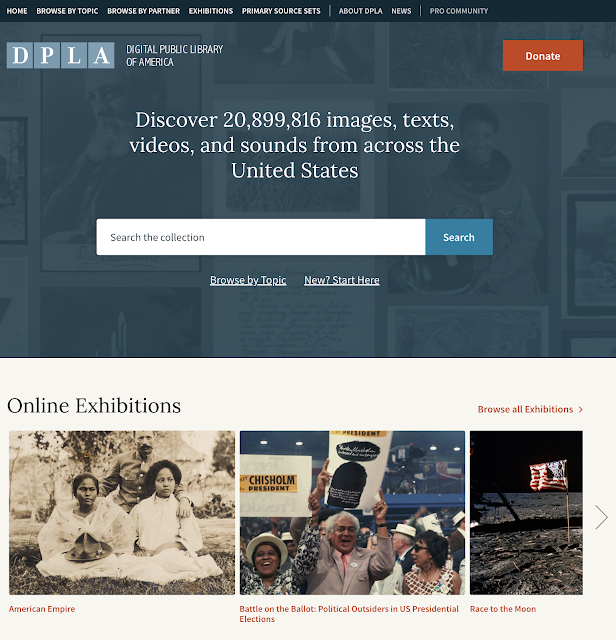 All of the materials found through DPLA—photographs, books, maps, news footage, oral histories, personal letters, museum objects, artwork, government documents, and so much more—are free and immediately available in digital format. The cultural institutions participating in DPLA represent the richness and diversity of America itself, from the smallest local history museum to our nation’s largest cultural institutions. 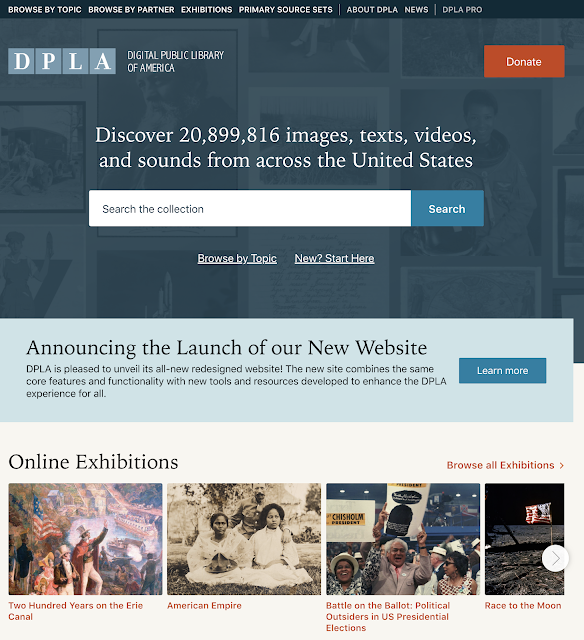 To learn more about DPLA as an organization, our partners, and the communities we serve, please visit DPLA Pro. As the DPLA accumulates a vast collection of resources it necessarily includes many genealogical important resources. 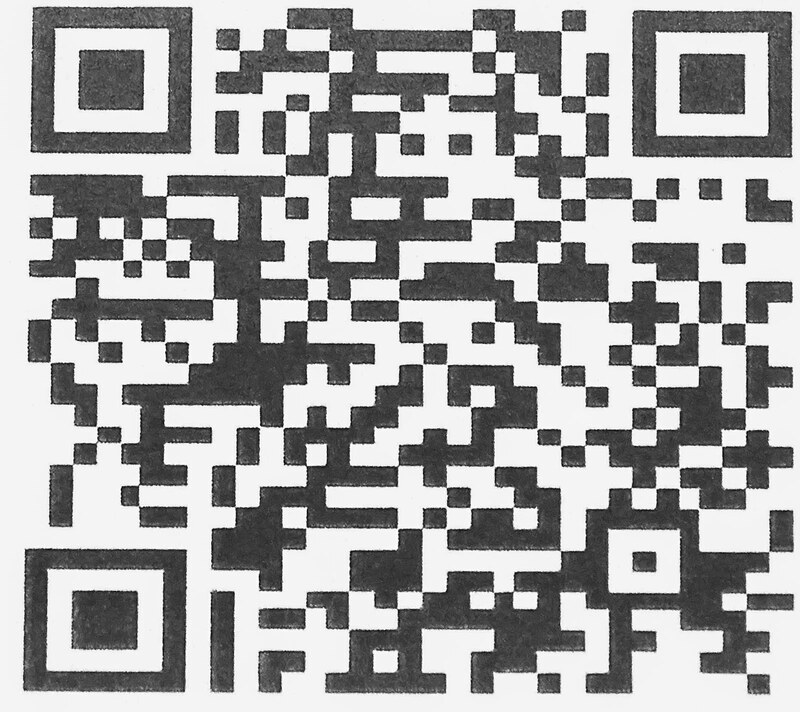 As shown above, in the image, there are over 20 million images, texts, videos, and sounds from across the United States. Take some time to explore the new website. The Impact of 23andMe DNA Cancer Testing. 23andme.com, one of the major suppliers of DNA kits for testing your ancestry, has just recently announced Federal Drug Administration (FDA) approval for a limited type of testing for genetic risks for cancer. Here is a quote from their press release. Mountain View, California – March 6, 2018 – 23andMe, Inc., the leading personal genetics company, today received the first-ever FDA authorization for a direct-to-consumer genetic test for cancer risk. The authorization allows 23andMe to provide customers, without a prescription, information on three genetic variants found on the BRCA1 and BRCA2 genes known to be associated with higher risk for breast, ovarian and prostate cancer. 23andMe is a privately held personal genomics and biotechnology company based in Mountain View, California, that claims to be developing new methods and technologies that will enable consumers to understand their own genetic information. The company is named for the 23 pairs of chromosomes in a human cell. 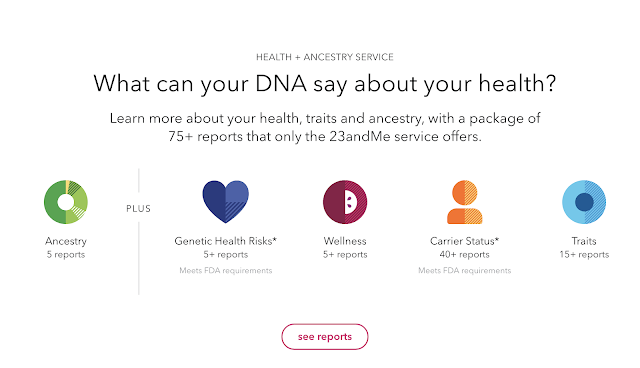 Some years ago, 23andMe was doing extensive genetic screening for a variety of health issues including cancer. In 2013 the FDA shut down further sales of the saliva home-test kit, citing the “potential health consequences that could result from false positive or false negative assessments for high-risk indications. Apparently, now 23andMe has overcome that initial set back and gotten into the genetic health risk assessment market. The company saw an opportunity in consumer genetic testing similar to 23andMe three years ago and launched AncestryDNA as a subsidiary of Ancestry.com. Ancestry’s patented algorithm began matching users to relatives as well as DNA matches to ancestors as far back as the 1700’s. 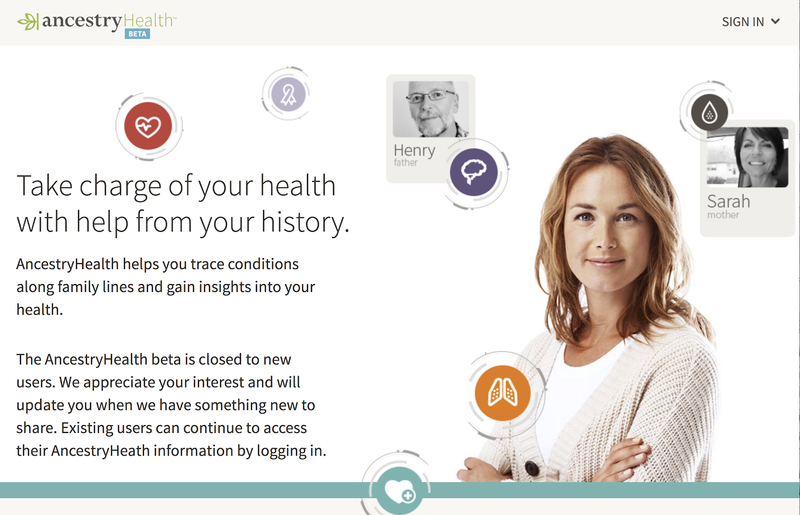 The company is now taking those family connections a step further with the introduction of generational health information. Let's face it, the health industry is immeasurably larger than the genealogy industry. Once these companies get involved in DNA testing, it is a natural step to extend their testing services and then become involved in other aspects of health care. In the case of Ancestry.com, we haven't heard much about AncestryHealth since its introduction. At this point, I can only speculate that the siren call of the health industry may pull some of the genealogy companies away from providing only genealogically interesting products and that raises the question of how they will allocate their resources if they are making a lot of their profits from health-related products. The reverberations of the recently announced study conducted by MyHeritage.com staff and others will continue to affect the way we do genealogical research for a long time. Here is the citation to the article. One of the most shocking findings of the study involves the number of babies missed in doing research. My son Jared Tanner, a neuropsychology professor at the University of Florida, has been reading the publication and we have been writing back and forth about some of the startling conclusions that can be drawn from the data supplied with the article. Here is a comment he recently sent to me about the babies missing from our genealogical research. For every 100 people born in the U.S. in 1900, there should be (on average) 10 who died before age 1. Of those 10, based on this article, we expect only 6-7 are listed in a family tree. The other 3-4 are missing. If there are higher infant mortality rates (e.g., in 1800 [there are not great records]), there are more missing babies but at the same rate (50%). So if infant mortality was 20%, there would be 20 deaths for every 100 babies born. 6-8 of them would not be listed in a family tree. Infant mortality rates could be much higher or a little lower in any given location and race/ethnicity. In the U.S. black babies died at higher rates than white, on average. So there are more unknown black than white babies. At a minimum, family trees on average are missing 3% of infants born around the year 1900. That percent is higher (up to 10% or even more) for other times and locations. My interpretation of the statistics could be wrong but, as you said, there are many missing babies. Someone is watching over these fallen sparrows. One interesting finding is the Geni.com predicted mortality for infants dying < age 1 is 50% lower than expected. This means the number of included names of infants who died before age 1 is about 50% lower than it should be. If we use a conservative estimate of 10% of children dying before age 1 (in the U.S. in 1900; https://www.cdc.gov/mmwr/preview/mmwrhtml/mm4838a2.htm), for every 7 included names of children dying before age 1, there are at least 3 missing. It's likely quite a bit higher (1700 and 1800 mortality rates were likely higher). There are a lot of missing babies in the family trees. For me, this is a very emotional issue having just gotten back from taking care of a newborn grandbaby. But also because of my effort to digitize the Mesa, Arizona Cemetery Records. This collection, now on FamilySearch.org, has records of hundreds of babies who died in the early years of the settlement of Mesa, Arizona. While I was digitizing the records, I had to avoid reading them because I got too sad and could not work. If you want to see the images of the records, here is the link and citation. "Arizona, Maricopa, Mesa City Cemetery Records, 1885-1960." Database with images. FamilySearch. http://FamilySearch.org: 27 January 2017. Mesa City Cemetery. This study, sponsored by MyHeritage.com will eventually have a tremendous impact on how and possibly why we continue to do genealogical research. Freedom admission papers can record many biographical details about the individual to whom Freemen status is awarded making this collection of particular interest to genealogists. Many of the documents in this collection are "indentures" or sealed agreements for things like apprenticeship agreements. 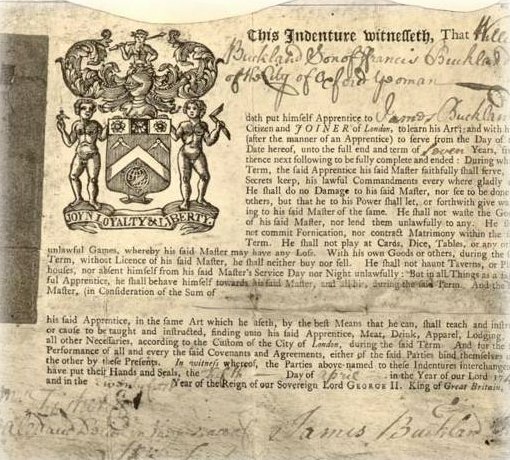 The original document was made with all copies on the same page of parchment. An "indented" or wavy line was drawn between these copies, which were then cut apart straight through the wavy line. When brought together later these copies could be realigned or "tallied" by matching the indented lines. So, an indentured servant is one who subject to a contract or an agreement. Anciently, the documents were validated by the wavy line. One of the oldest surviving traditional ceremonies still in existence today, is believed to have been first presented in 1237. The medieval term 'freeman' meant someone who was not the property of a feudal lord but enjoyed privileges such as the right to earn money and own land. Town dwellers who were protected by the charter of their town or city were often free – hence the term 'freedom' of the City. From the Middle Ages and the Victorian era, the Freedom was the right to trade, enabling members of a Guild or Livery to carry out their trade or craft in the Square Mile. A fee or fine would be charged and in return the Livery Companies would ensure that the goods and services provided would be of the highest possible standards. In 1835, the Freedom was widened to incorporate not just members of Livery Companies but also people living or working in the City or those with a strong London connection. Today most of the practical reasons for obtaining the Freedom of the City have disappeared. It nevertheless remains as a unique part of London’s history to which many people who have lived or worked in the City have been proud to be admitted. Prior to 1996, the Freedom was only open to British or Commonwealth Citizens. Now, however, it has been extended globally and persons of any nationality may be admitted either through nomination or by being presented by a Livery Company. There is a long standing tradition of admitting women. The City of London is keen to maintain the Freedom as a living tradition. The Freedom is open to all who are genuinely interested and invited or born to it. The City Freemen are a very broad cross-section of the population. The Freedom in the City today is still closely associated with membership of the City Livery Companies. In a real sense, the Freedom of the City guaranteed that the person was not an indentured servant. The Digital Public Library of America or DP.LA has added 90,000 new items from the Ohio Digital Network. These are apparently items that have not been online previously. Everything on the DP.LA is free. You can see the new DP.LA website in this screenshot. You can view all of the items on the DP.LA by viewing the collections by Partner. Here is what is on the Ohio page. Transcripts of the original parish registers make up this collection. There are 163 parishes included. You can explore the full parish list with years covered in the parish list located in the Useful links and resources. There is a 100-year cut-off for baptisms included. I can only wish to have such records about my own ancestors. Here is the link that goes directly to the records. 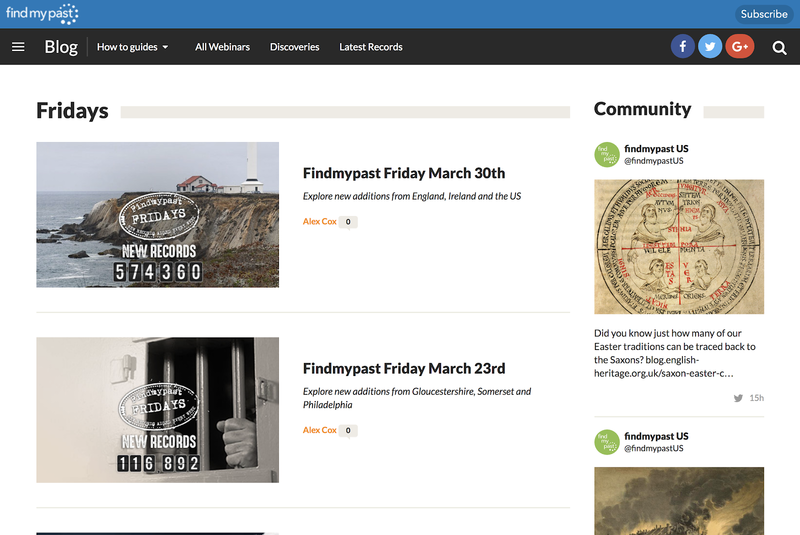 Of course, you will need a subscription to Findmypast.com to search the records. We’re delighted to announce the addition of 325 million important historical records to SuperSearch™, bringing the total number of global records available to 8.8 billion. The collections added today include the 1939 Register of England & Wales, an innovative name index for the US yearbooks collection published in December 2017 and Canadian obituaries. We are excited to announce a major upgrade to the Chromosome Browser on MyHeritage. With this upgrade, we’ve upped our genetic genealogy game considerably to help people better understand how they are related to their DNA Matches. Together with family tree details like shared ancestral surnames and shared Smart Matches, users may be able to trace back the common ancestors who passed down shared DNA segments to them and their DNA Matches, and reconstruct the exact relationship path between themselves and DNA Matches that they find intriguing. The initial version of the MyHeritage Chromosome Browser, released in January 2018, was a one-to-one chromosome browser. It displays DNA segments shared by you with one DNA Match. 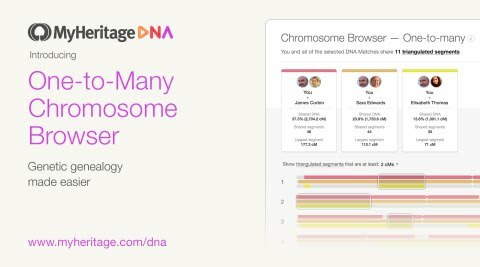 The new One-to-Many Chromosome Browser, with its support for indicating triangulated segments, is an exciting addition to MyHeritage’s growing arsenal of useful tools for genetic genealogy. The tool is completely free. Also new is the ability to export the list of DNA Matches, along with several other export capabilities. The Chromosome Browser is part of the website and available to all who have a DNA test on the MyHeritage.com website. Since there is a Conference discount on the DNA kits, if you have not taken a DNA test, I suggest going to the MyHeritage booth and seeing if there are any left. 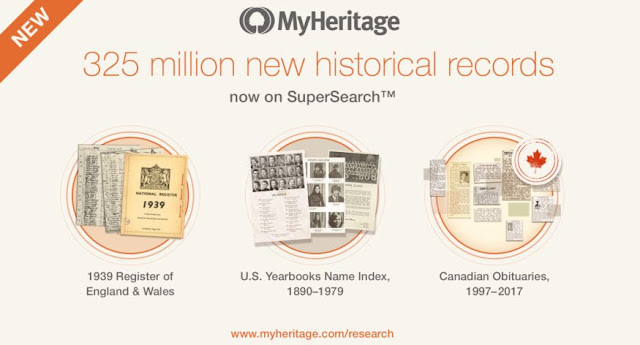 There are so many new announcements from MyHeritage.com that I have not yet had time to write about all of them in depth. You can expect a lot more posts about all the new developments. I guess MyHeritage.com is the only company that has announcements to make at #RootsTech 2018, because I have yet to get even one notice from any other company at the Conference. Hmm. Or maybe because I am not physically present, I am being ignored? I did find two different press releases from other companies posted on another website.